Karun Ramani | OK Listen! 25, multi-instrumentalist, composer and producer from Chennai, India. Being primarily a guitarist, this is my first outlet to showcase my ideas on other instruments and also try my hand at beat-making and producing. 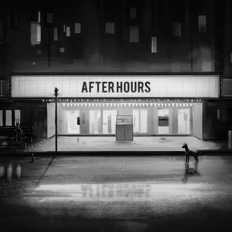 Over the last 6 months, I've spent most of my time trying to establish an identity for myself in this space. . My upcoming E.P titled 'After Hours' releasing July 17th will be my first step in that direction. I come from a background of very mixed musical influences leading to my music being a blend of various genres with roots in R&B/ Soul and stretching to Hip Hop, Funk and Reggae.